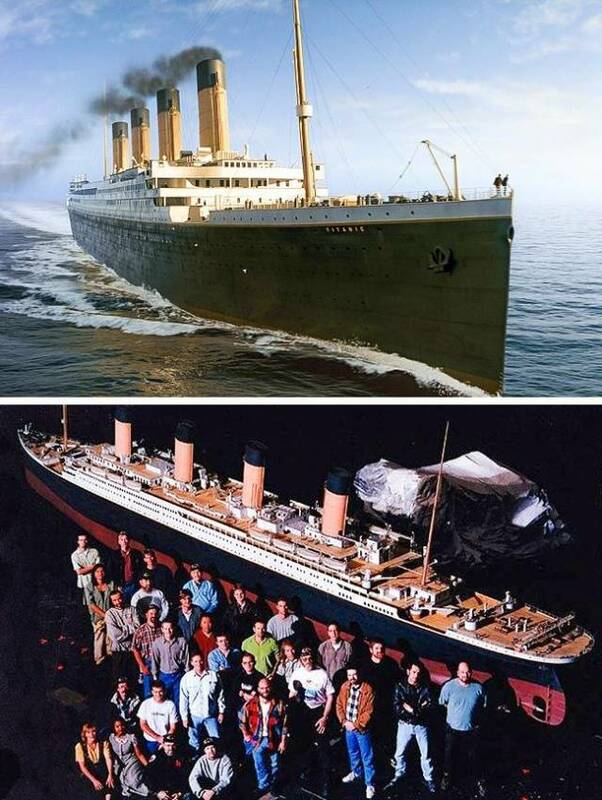 When completed, this 1/20th scale model was 44.5 feet in length, and was used for the majority of the shots of the ship, Titanic sailing on the open seas. At the time, it was the most accurate, most detailed model of the ship ever made. 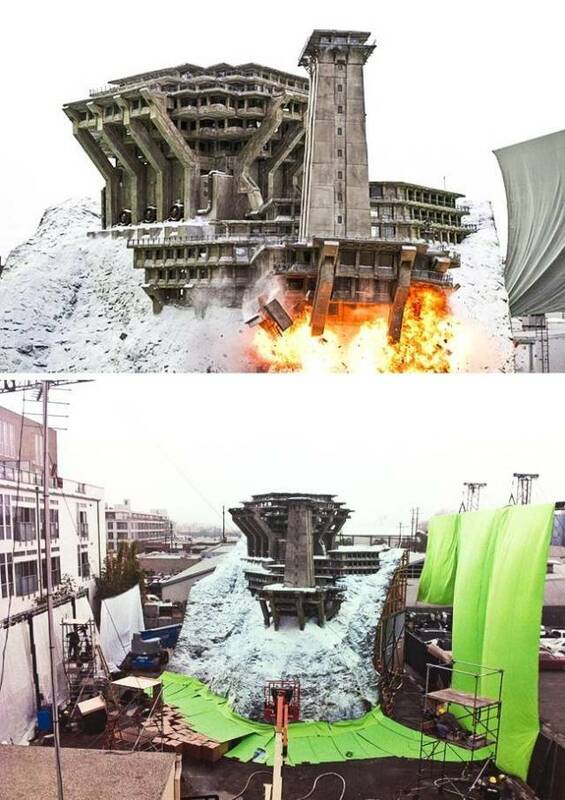 For Christopher Nolan’s Inception, New Deal Studios handled effects for the explosive demolition of the hospital, a massive concrete structure perched on the edge of a snow-covered mountain that exists inside the film’s dream world. They also used 2200 pounds of salt to cover the mountain and the buildings. The crew did several takes of the demolition and used several tower models until Nolan was fully satisfied with the outcome. 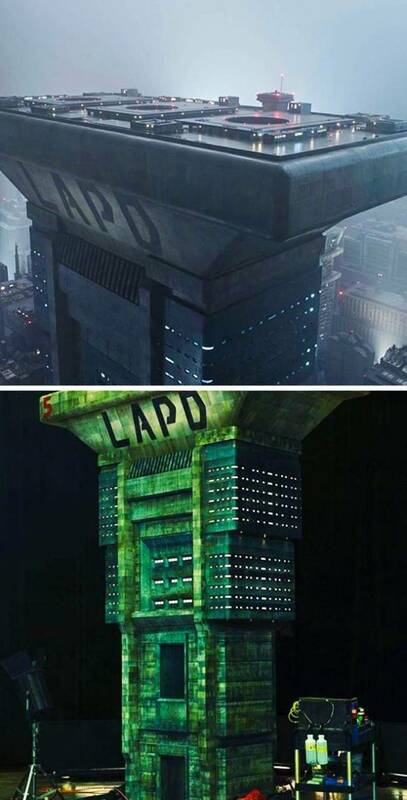 For Blade Runner 2049, production company, Weta Workshop was tasked with creating and subsequently filming several expansive miniature environments including the Los Angeles cityscape, complete with the enormous L.A.P.D tower. The crew created intricate miniature sets that were filmed by cinematographer, Alex Funke. 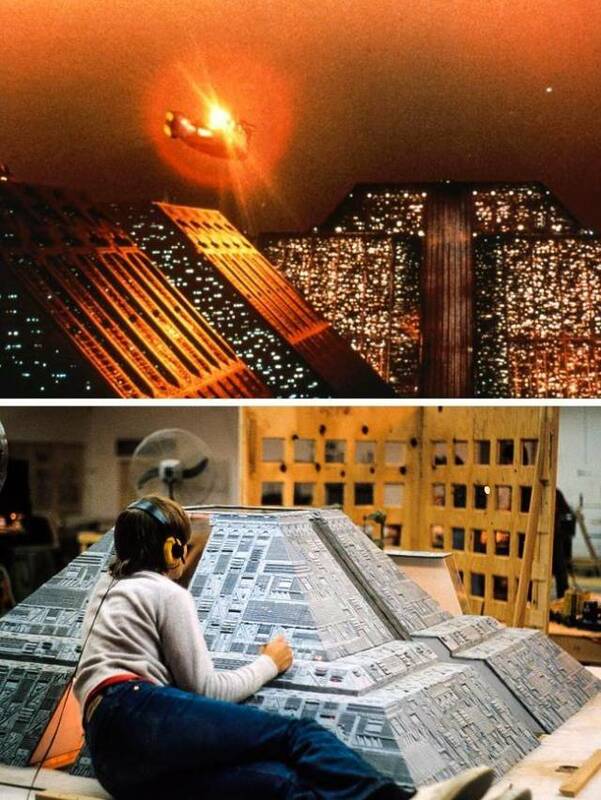 Just like its sequel, the original movie used miniature models to create the gloomy atmosphere of the city. The crew used amazingly detailed miniature sets to bring its cities to life. For the J.R.R. Tolkien universe, Weta Workshop developed a range of exquisitely detailed armor, weapons, and location designs for a range of scenes including Isengard, a home for Saruman and his army. When seeing things from this angle, it really doesn’t look as scary and impressive as it did in the movie. 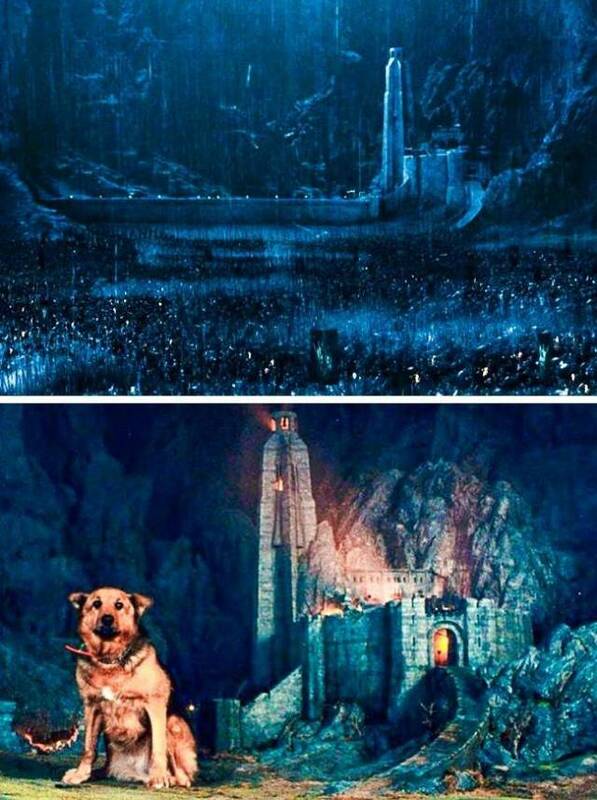 Another recognizable location in the film is Helm’s Deep, a large valley within the stronghold of Rohan. 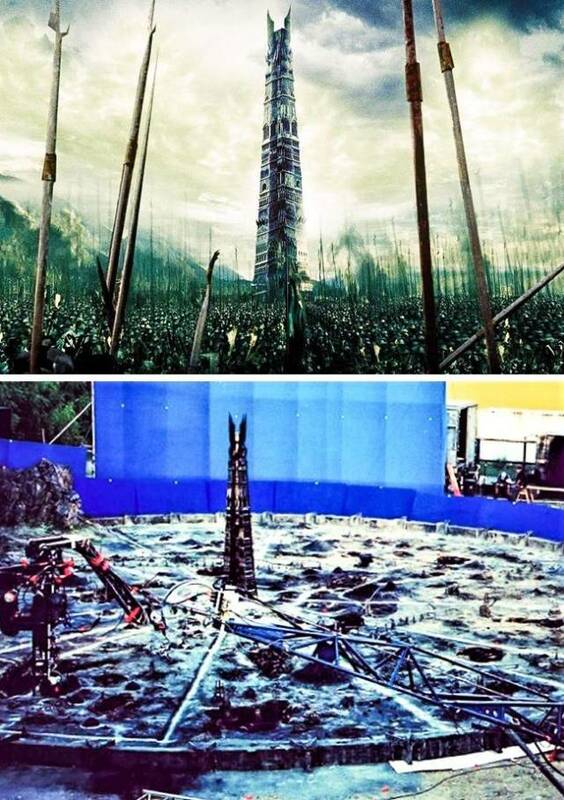 One of the key battles between the forces of Saruman and Rohan happened in Helm’s Deep. But who knew it was such a small-scale building? The Impossible tells a true story of a family vacationing in Thailand at the time of the Indian Ocean tsunami of December 26th, 2004. 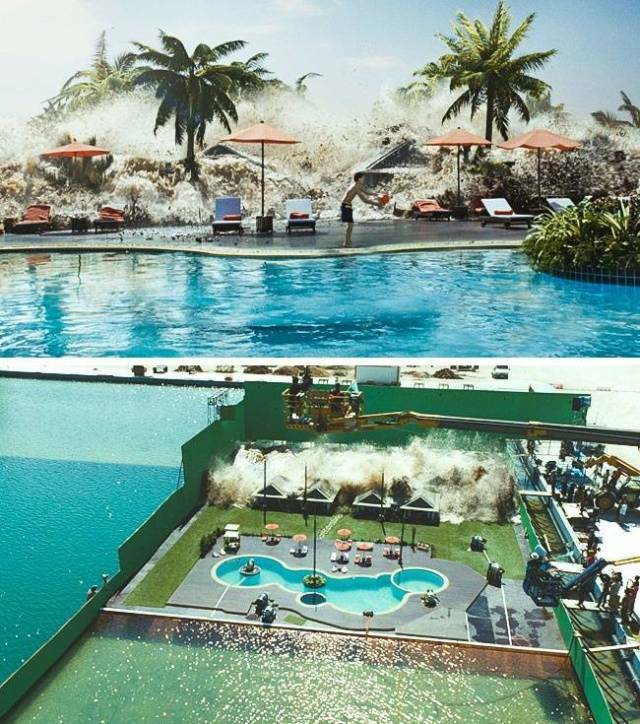 To create the tsunami wave, the crew crafted the bungalows and surrounding buildings at 1:3 scale and were later shot with an open air 80×100 meter water tank. 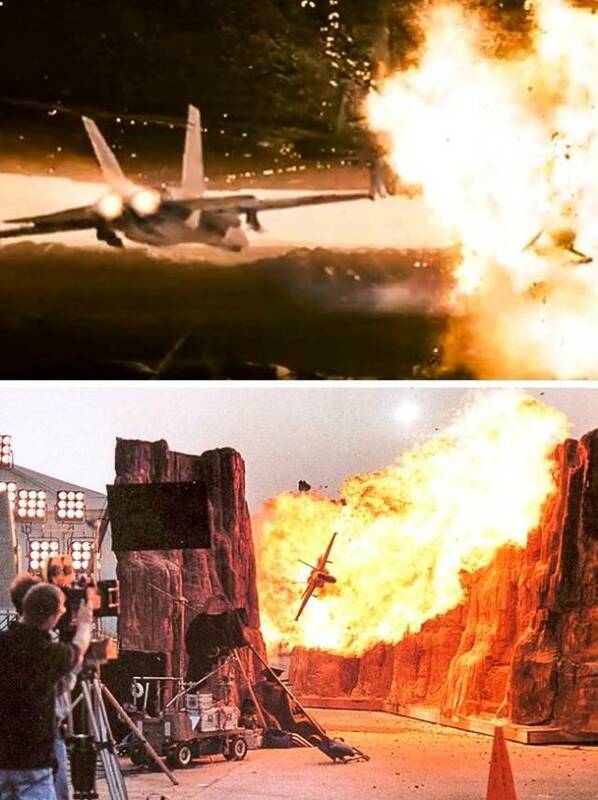 Independence Day depends heavily on miniature models and practical effects and contains 430 VFX shots. Volker Engel, the VFX supervisor, said that people at the restaurant turned their heads at him when he discussed with his partners the blowing up of the Capitol on Wednesday and the White House on Friday. In 2012, the miniature model of the Hogwarts castle was revealed and installed in The Making Of Harry Potter studio tour at Leavesden Studios. 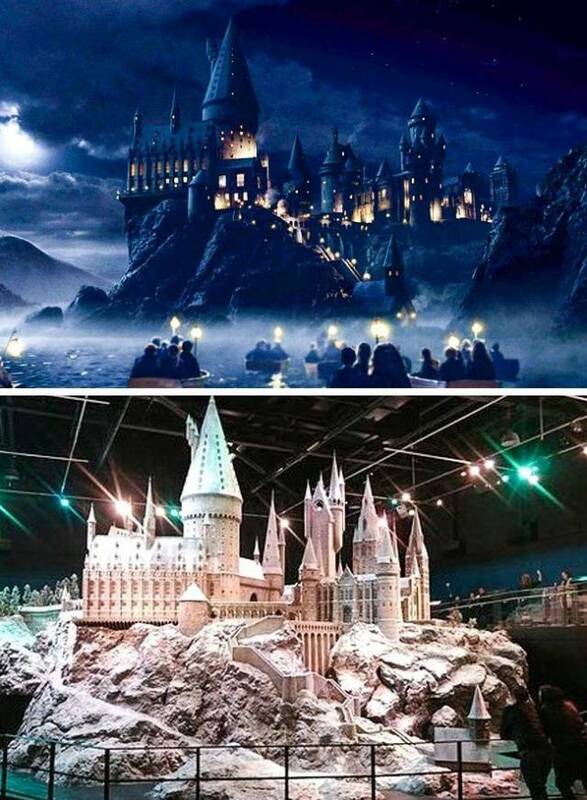 The incredibly detailed model of Hogwarts School of Witchcraft and Wizardry was used for every film in the blockbuster series. 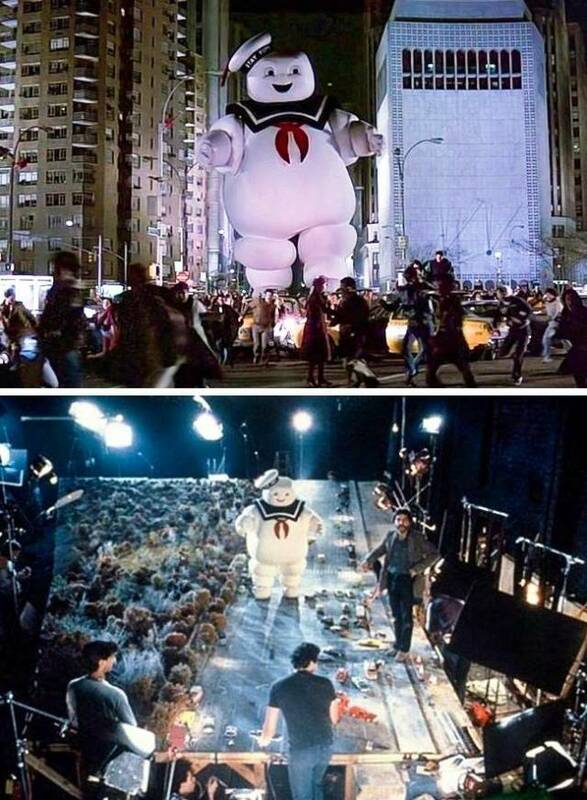 The Marshmallow Man was the final enemy the team of Ghost Busters had to defeat in the film. Of course, it was impossible to create a full-size model of this white sailor, so the director decided to go with a miniature model. The Marshmallow Man was basically just a guy in a puffy costume. 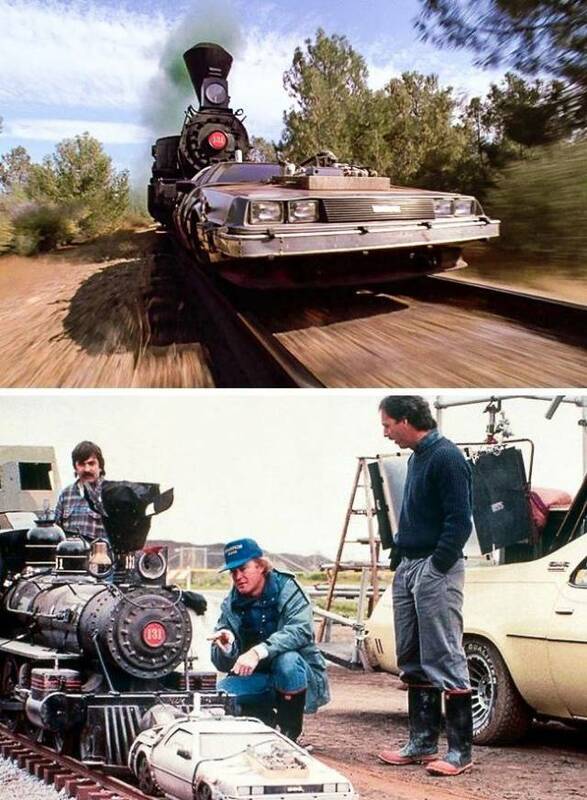 Did you think they made a real train push a actual car? Not quite. Not only did Dr. Emmet Brown know how to solve every little problem, but the movie directors apparently did as well. 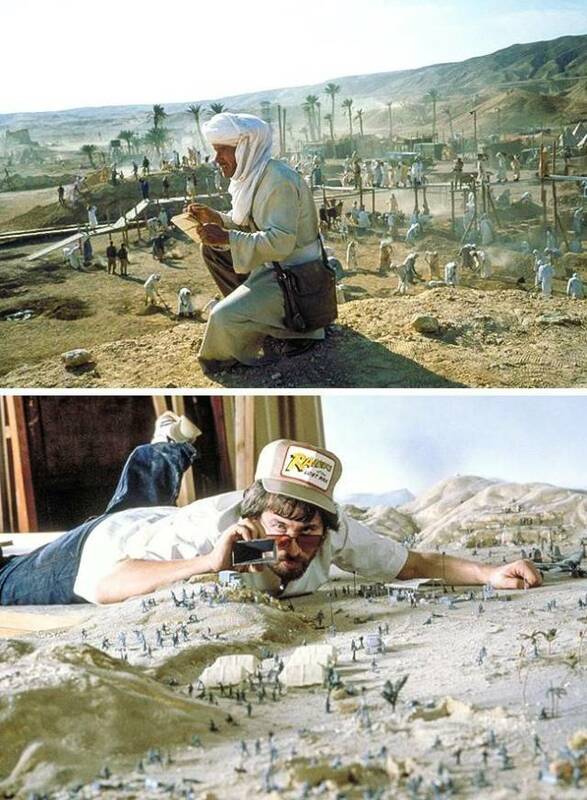 The then 33-year-old Steven Spielberg got down on the floor to survey a miniature desert base during the model work on Raiders of the Lost Ark. Escape from New York is a 1981 American dystopian science-fiction action film starring Kurt Russell. According to the movie plot, the entire island of Manhattan, NY was converted into a maximum security prison. 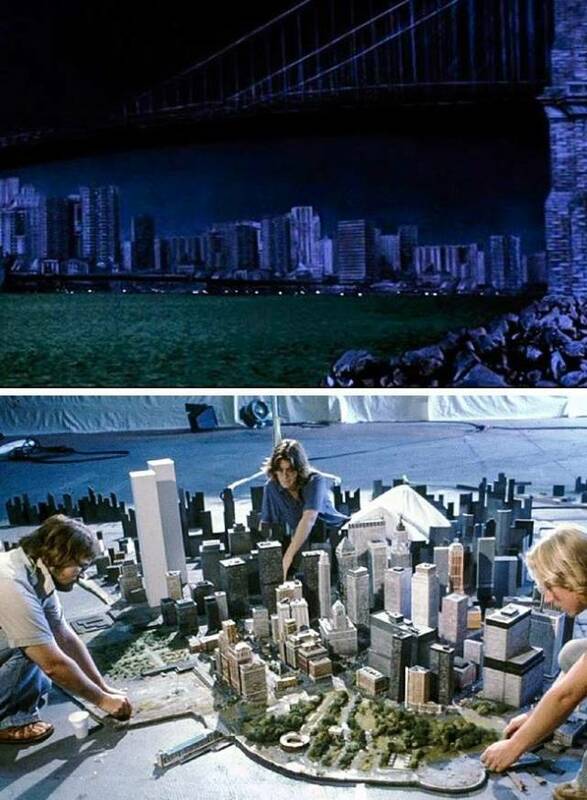 The effects crew built and filmed a miniature model set of New York City and used it for the night scenes under a black light with reflective tape placed along every edge of the model buildings. Instead of relying entirely on CGI, Superman Returns utilized the magic of miniatures and on-camera effects. 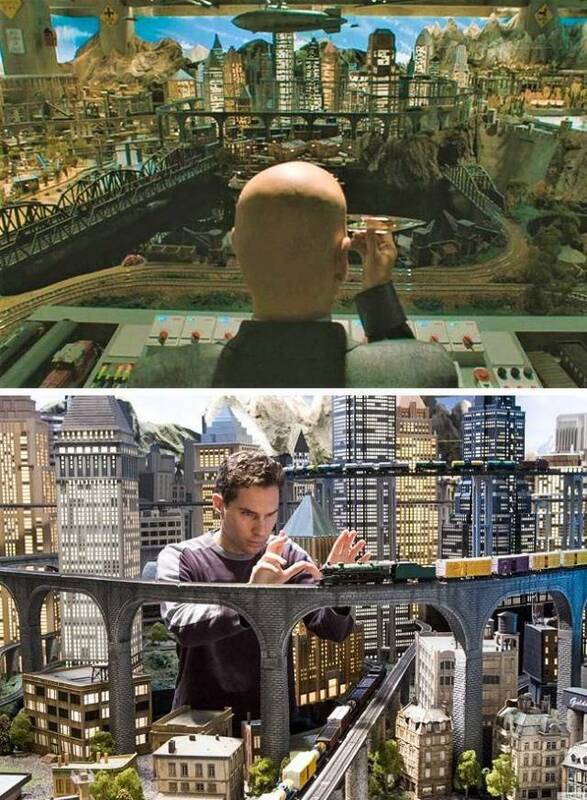 In this photo, director Bryan Singer is inspecting a model of Metropolis. 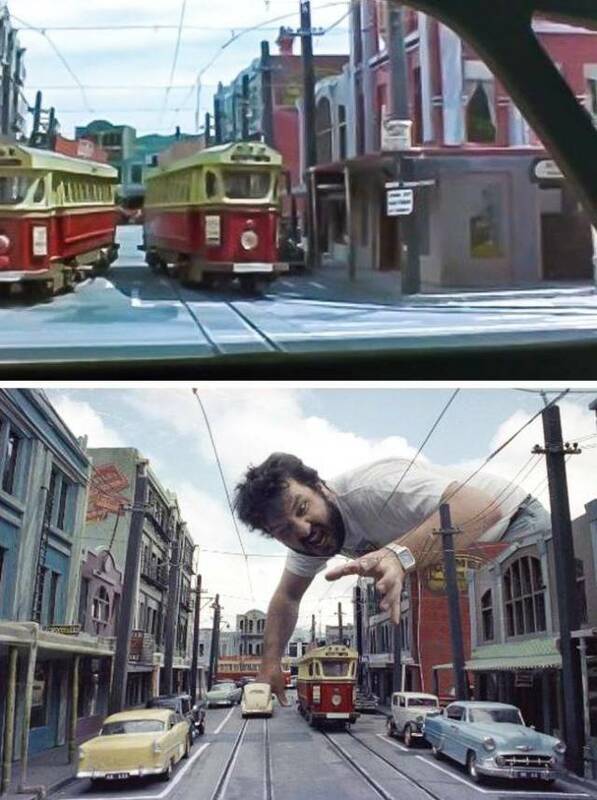 In order to authentically replicate the look and feel of 1950s New Zealand, the film’s production designers of the 1992 splatter comedy, Braindead created this detailed miniature version of Newtown, a Wellington suburb. 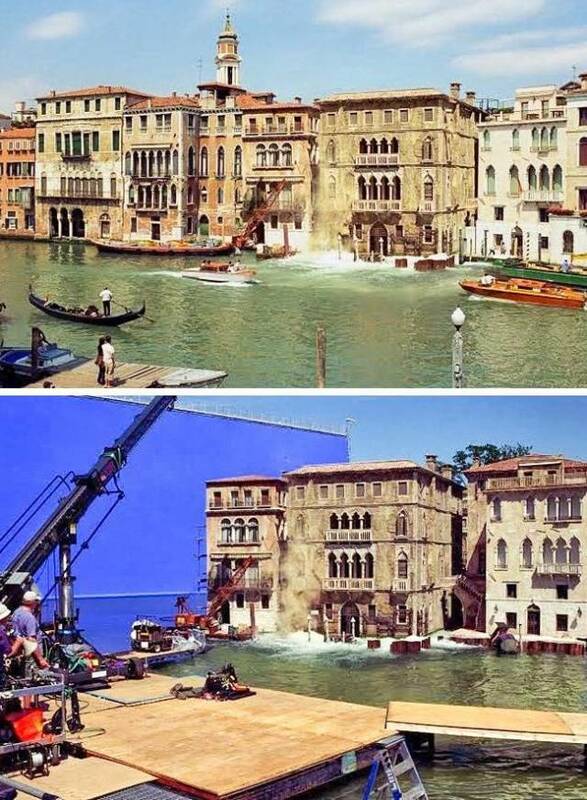 In Casino Royale, the sinking palazzo was created in a studio with a mix of CGI and model work by the construction team. They constructed a 1:3 scale replica of the house and its surrounding mansions, which later were composited into the scene using CGI.